I live 20 miles from there and used to live 5 miles from there yet I still have never been there, when there is something interesting near to your abode you often overlook it. Just saw that about Banksie, was a bit too young to see him play but the man was an Englsih football legend. RIP. Bobby Moore will have someone to take shots at. 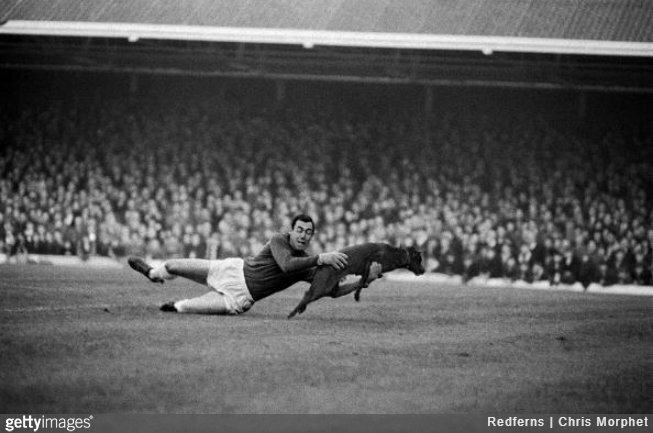 Gordon Banks played against us once, for Chesterfield in 1959. I wonder if those who were at the CG that day thought that the young keeper would one day be a WC winner. A shame as well that a fair few of the WC winning team, for whatever reasons, had to sell their medals. RIP Gordon Banks. England’s best ever keeper. Seemed a really decent bloke too. I only saw him play once, in charity game for at the County Ground in 1982 a game he played with a certain George Best, Don Rogers, Mick Channon, Mike Sumerbee, John Francombe, Ian Botham and Viv Richards. Even with one eye and being in his mid 40s he still made a few excellent saves when he came on. Three of them graced the CG carpet in Jan 67. The only one I saw was Alan Ball in 1980. I saw Ball, Moore and Peters play against us and Banks in a charity game. But being only 4 months old when they won the world cup obviously they were all in their final season or 2 of playing.